We meet each month and invite any and all men of the Church and/or community to join us. This gathering is very informal, and we are looking to grow! Other plans for expansion in our Men’s Ministries are on the horizon, including retreats, activities for fathers & kids to participate in together, and missional work for the wider-community. 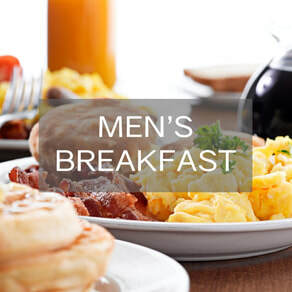 All meals are Dutch-treat; grab your favorite breakfast at a Mechanicsville restaurant and/or the Church (we will advertise and contact you directly after signing-up). This is a great opportunity to meet new friends and connect with others from the church.